Frosted pumpkin glycerin soap. This fragrance has citrus lemon, creamy pumpkin, nutmeg, ginger, maple sugar and vanilla frosting. Another great duplication of a popular scent. We do combine shipping on multiple items and refund overage of $1 or more when your order is processed. Please note, this soap may darken slightly over time due to the vanilla in the fragrance. Wonderful soaps. 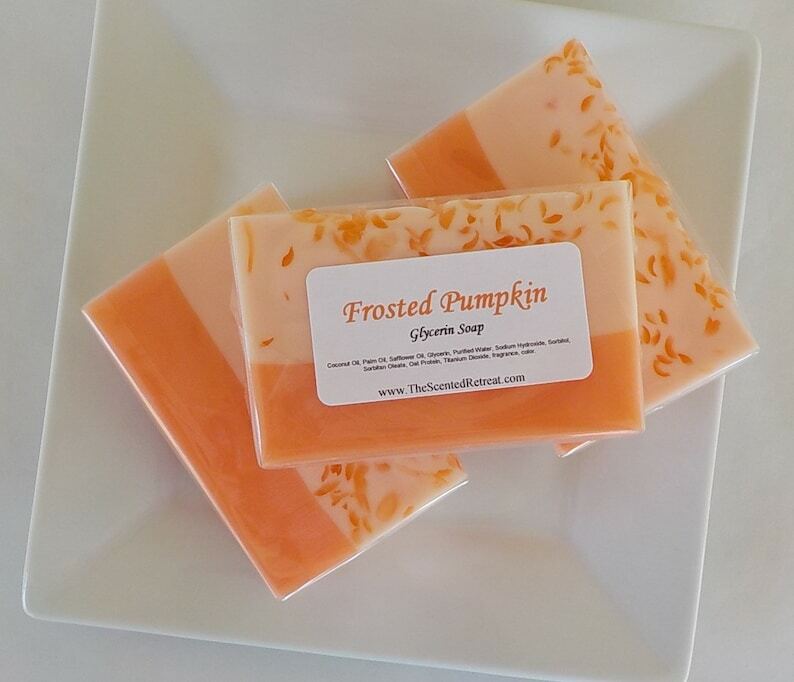 I pretty much love just about anything that's pumpkin-scented. Thank you for the bonus soap, too!